We are very excited to announce that from January 2019 we'll be offering special Babywearing Workshops to parents and parents-to-be. Workshops will be run by Roamy, one of the UK's most experienced Baby Carrying Consultants with over 8 years experience of working with parents and babies; helping them to find the right carrier for them and demonstrating how to use it safely and comfortably. The plan is to eventually offer a variety of workshops, but we'll be starting with an Introduction to Babywearing . Workshops will be held at Roamy's home in central Petersfield, plus various venues in Petersfield and surrounding areas. Initially, we're offering the Introduction to Babywearing (aimed at parents-to-be, to collect information and try carriers before baby arrives), with the first being held on Wednesday 23rd January at 7pm in Petersfield. 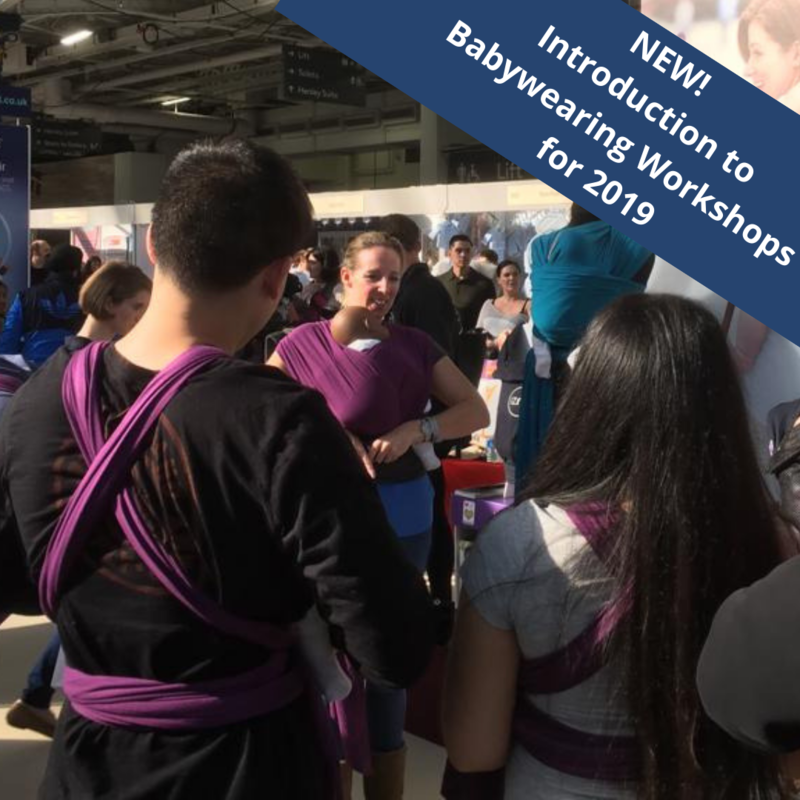 The Workshops run for 1.5 hours and provide a fun, informative look at the benefits of babywearing, using a carrier safely and comfortably, plus demo's and time to try on the most popular options that are suitable from newborn. There'll also be time to get to know other parents to be, who will be due around the same time as you. We're doing a special introductory rate of £25 per attendee for the first couple of courses (partners welcome at no extra charge). After the introductory period the price will go to the regular rate of £30 per attendee. At the end of the Workshop there'll be the opportunity to purchase a wrap or carrier of your choice, so you're all ready for when baby arrives, with a 15% discount off the RRP. Alternatively, you can save your 15% discount and purchase once baby has arrived. Places are strictly limited to a maximum of 6 attendees/couples per Workshop, so please book early to avoid disappointment. We will be organising more Workshops throughout the year, so please get in touch if the Workshop is full and you'd like to attend. Make sure you let us know your due date so, if at all possible, we can accommodate you before they arrive! BOOK YOUR WORKSHOP PLACE HERE!